In a historically short period of time, China has made impressive progress in the consistent implementation of socio-political and socio-economic reforms, ensuring a high standard of living for its population and increasing the country's authority in international politics and the world economy, which shed light on those countries that are seeking development in urgent, including my country Uzbekistan. Today, the development of interregional cooperation is one of the priorities of Uzbekistan-China relations. During a meeting between Uzbek President Shavkat Mirziyoyev and Chinese President Xi Jinping on the sidelines of the Shanghai Cooperation Organization (SCO) Summit last June, special attention was paid to this issue, with deepening cooperation under the framework of the Belt and Road Initiative being particularly emphasized. In addition, during mutual visits in 2018, twinning and interregional relations for long-term cooperation were established between 10 regions and cities of Uzbekistan and China, opening new horizons for a wide range of interaction, including the promotion of mutual investment and trade, economic cooperation, cultural and tourist exchanges. As the second largest economy in the world, China's role in the global economy is steadily growing, the Communist Party of China (CPC) has made an invaluable contribution to the country's economic development. Thanks to the new ideas and bold decisions of the CPC leadership, China became one of the leaders of the world's industrial development, reached the level of an influential international actor whose political and defense capabilities are constantly growing. China is also playing an increasingly significant role in international affairs and is an important engine of global economic growth, creating new opportunities for development for itself and other developing countries. Meanwhile, the large-scale reforms in Uzbekistan today have benefited all spheres of society. Adopted on February 7, 2017 by President Mirziyoyev, the Action Strategy for the Five Priority Areas of the Republic of Uzbekistan in 2017-2021 is the first document that is a guide to action and a development program for the country with measures taken to further liberalize the economy and increase its competitiveness. In a short time, the financial, tax and customs systems were improved, the legal protection of entrepreneurs was strengthened, the business environment improved and investment attractiveness increased. In the process of implementing the action strategy, Uzbekistan is actively studying the experience of major countries, including China. In particular, Uzbekistan is interested in the new industries and new formats of China's business model, which have become an important driving force for the Chinese economy, technological development, market modernization and government efforts to develop mass entrepreneurship. In these and many other areas, China's development has reached an advanced level in the world, which is the result of the continuous deepening of socio-economic reforms that have been going on for more than 40 years. China can be proud of the truly outstanding results of its development. In 1978, China's foreign trade was 35.5 billion yuan ($20.6 billion), while in 2017, the total volume of imports and exports reached 28 trillion yuan ($4.2 trillion). China's path to reform and opening up has not been easy, but China has successfully overcome all obstacles and difficulties, becoming the largest trading power and the second biggest country investor. As the Chinese Government has stated, China will deepen reforms in the future and open up wider to the world. The Belt and Road Initiative has an important role to play in implementing these goals. Founded by China, the ancient Silk Road provided trade and cultural dialogue among various cultures and civilizations for many centuries, blossoming in what is now modern Uzbekistan, from where it traversed to East and West Europe, South Asia, the Middle East and Africa. The Uzbek cities of Samarkand, Bukhara and Khiva were at the center of the ancient route. There is no doubt that Uzbekistan's participation in the Belt and Road Initiative today is very important for its development. The strategic partnership between Uzbekistan and China creates favorable conditions for the implementation of the project. It revives the ancient Silk Road, countries along which now produce 55 percent of the world's GDP and where 75 percent of the world's energy reserves are concentrated, further enhancing its role to consolidate the international community around common development goals. In May 2017, at the Belt and Road Forum for International Cooperation in Beijing, Mirziyoyev said, "We expect to implement in our region, where the richest natural, industrial and human resources are concentrated, major projects in the fields of transport, trade, investment, energy and hi-tech." The second key issue, the president added, is the development of a comprehensive program of action for cooperation in the creation of transport and logistics routes linking Central Asia through China and Russia with markets in South Asia, Southeast Asia and Europe. Since independence, our country's economic and social potential has greatly increased, with our economy showing a solid macroeconomic base. Widespread conditions have been created for the active and free pursuit of foreign investors. Foreign business people's interest in partnering with Uzbekistan has been strengthened by new advantages and opportunities. The country's development strategy has many points of intersection with the Belt and Road Initiative, allowing closer cooperation in strategic planning. In particular, there are a number of measures to develop road transport, engineering and communication. Industrial and investment cooperation, along with energy, agriculture and tourism are also potential areas of collaboration. Their implementation will contribute to the diversification of foreign trade routes, expanding the geography of Uzbekistan's exports. Within the framework of the Belt and Road cooperation, Uzbekistan is actively involved in the development of programs for the opening of transport and logistics routes. China has always been, and remains, a close and reliable friend and a time-tested partner. Uzbekistan continues to give priority to this relationship. Currently, relations between Uzbekistan and China have been elevated to the level of comprehensive strategic partnership. Cooperation covers politics, economy, trade, industry, construction, science, education and culture. The leadership meetings and negotiations during the 2018 SCO Summit outlined new directions for further expansion of mutually beneficial strategic cooperation. Today, broad horizons are opening up for further expansion and strengthening of Uzbek-Sino cooperation. The large-scale reforms being carried out in Uzbekistan within the framework of the action strategy create additional opportunities for the development of our ties. A striking example is the growing interest of the Chinese business community in Uzbekistan. Currently, more than 1,000 enterprises with the participation of Chinese investment are operating in our country's market. 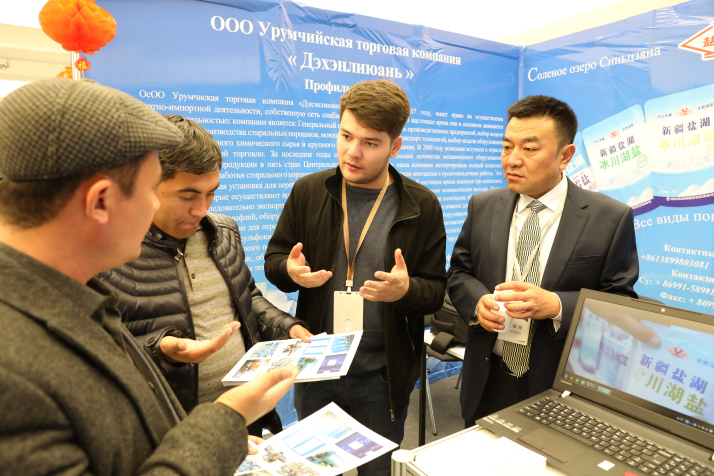 More than 100 leading Chinese companies opened their representative offices in the capital of Tashkent for a closer study of the Uzbek market. China is actively participating in the implementation of programs to modernize and diversify the economy of Uzbekistan, primarily the development of hi-tech industries. In particular, Chinese businesses are involved in the construction of many new industrial enterprises, taking an active part in the implementation of both large and small projects. Every year, the volume of mutual trade increases. There is a great demand in the Chinese market for various products from Uzbekistan, as we saw during the first China International Import Expo in November last year. For our part, Uzbekistan expects to achieve significant progress in the export of fruits, vegetables and other products to China in the coming years. We also see significant opportunities to attract Chinese tourists to our country. The role of China in international affairs has significantly increased, especially with the introduction of the Belt and Road Initiative, aimed at stimulating infrastructure construction, improving existing infrastructure and creating new trade routes, transport and economic corridors, deep integration of markets and ultimately an open, comprehensive and balanced regional economic structure. The whole spirit of the initiative to promote international relations and cooperation is clearly described in Xi Jinping: The Governance of China, which I regularly read. The book was translated into the Uzbek language and published with the cooperation of the China International Publishing Group and publishing house Uzbekistan. It can serve as good reference material for the study of the political course of China, the disclosure and understanding of the essence of the Chinese economy and its distinct characteristics.